The end of January signals the beginning of a dreaded activity for many; doing your taxes. For years I procrastinated, spending more time worrying about it than actually doing it. Doing upfront prep work gathering all the documents you need to do your taxes is the key to making the process as easy and smooth as possible. I take a large envelope, and write on the front each piece of information I need. Normally I start by copying this list from the previous year’s envelope. I put a big square next to each item, and check the box as I gather each document. The W2 is the most important piece of information needed to file taxes. It documents your income as well as what taxes have already been paid. Employers deliver W2s several different ways including through the mail or online. Others also provide the ability for your W2 information to be loaded directly into tax preparation software. Independent contractors are technically not employees, so they do not get a W2. They do, however, receive a 1099-MISC from each entity that contracted them to do work. The income documented by 1099-MISC forms must be reported as income on your tax return. Banks make year end interest earned statements available either online, or through the mail. Interest earned must also be reported as income on your tax return. For those itemizing deductions, mortgage interest may be the single largest tax deduction. Banks send an official statement early in the year, or they make it available through your lender’s online portal. There are some changes to how much mortgage interest can be deducted starting with the 2018 tax year, so make sure you’re aware of those changes. Property taxes paid is another large tax deduction for many. Property tax statements are sent by your local government early in the tax year. So while you could get a duplicate copy, it’s easier just to make sure you keep it in a safe place for when you prepare your taxes months later. Vehicle registration is deductible in many states. The amount varies by state, so make sure you know how this applies to where you live. Charitable contributions can also be deducted on your taxes. Make sure you get and keep receipts for any donations made throughout the year. Some organizations will send you a statement at the end of the year. One all the necessary information has been gathered, doing your taxes is a breeze. If your taxes are more complicated, you may need more information than what is state here. 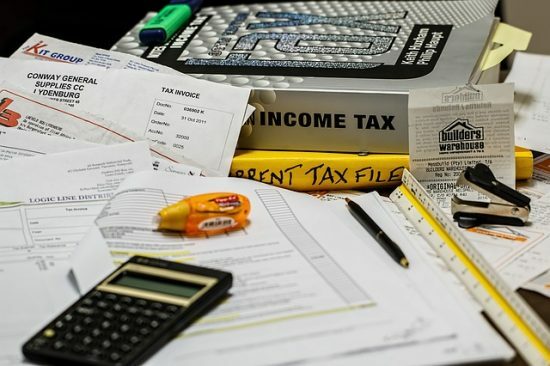 Whether you’re taking your information to a tax professional or doing them yourself, being well prepared is the key getting your tax return done quickly and correctly. How about you, EOD nation, what else do you need to do your taxes?